A team of researchers, affiliated with South Korea's Ulsan National Institute of Science and Technology (UNIST) has succeeded in developing new air purification technology to eradicate airborne viruses. Conventional indoor air purification systems often use UV light to sterilize and eradicate harmful airborne biological agents, such as bacteria, viruses, and mold spores. Despite its disinfection efficiency, such UV-based disinfection method generally uses recirculating mode and requires long irradiation periods due to its low photon energy. 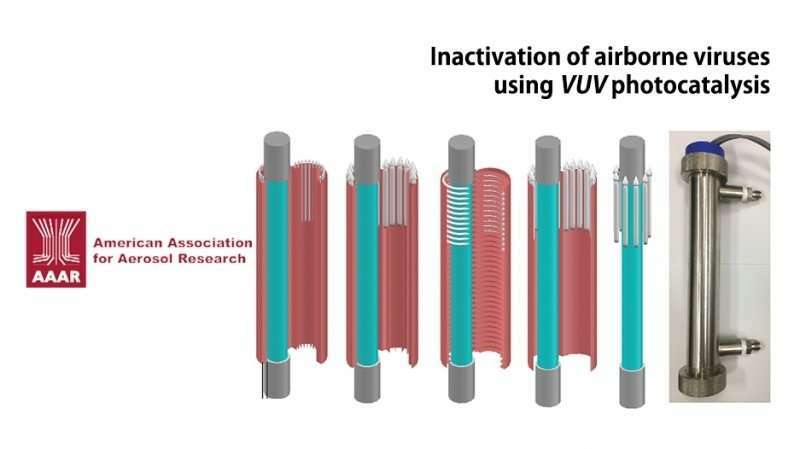 Professor Jaesung Jang and Dr. Jeonghyun Kim in the School of Mechanical, Aerospace and Nuclear Engineering at UNIST have introduced the next-generation of air purification technology, using the vacuum ultraviolet (VUV) and [hotocatalysis. The new technique can inactivate airborne viruses towards a flow-through indoor air purifier, having short irradiation time. This breakthrough has been published in Aerosol Science and Technology on February 13, 2018. The UV radiation below 200nm, named VUV is an effective bactericidal option against airborne disease viruses. Nevertheless, the use of VUV light has been limited by the creation of toxic ozone. Such issue has been solved by adding an extra UV photocatalysis system within the device. In the study, the team investigated photocatalysis reactions by VUV with short irradiation times (0.004–0.125 s) for simultaneously inactivating airborne MS2 viruses and degrading the generated ozone toward a flow-through air disinfection system with high flow-rates. 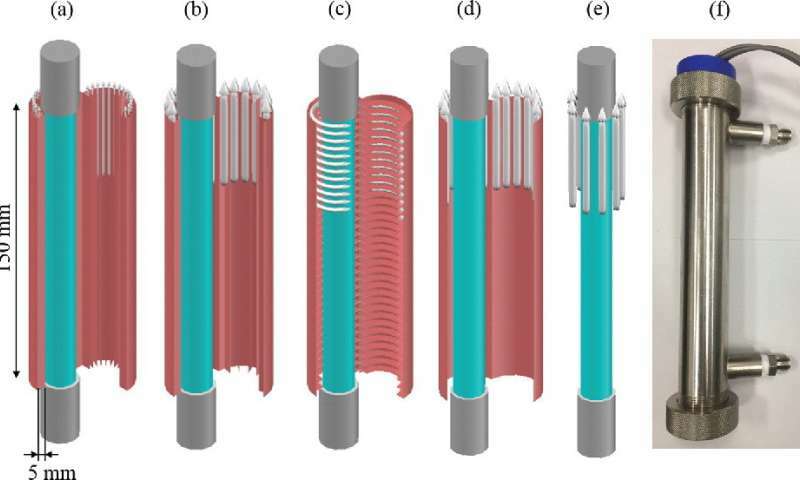 This cylindrical-shaped device has a low-powered VUV lamp, encased in Pd-deposited TiO2 catalyst frames with different shapes (spiral type and 2 mm and 5 mm pleated type). These photocatalysts use the VUV light to activate the chemical reaction, thereby killing harmful viruses. 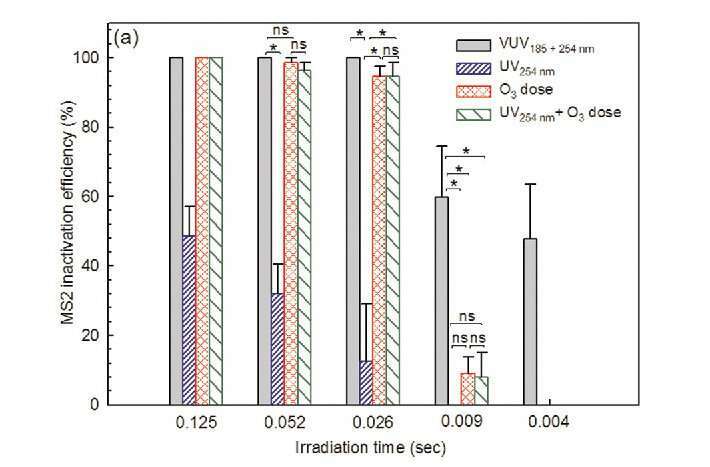 According to the research team, VUV photolysis treatment showed the highest inactivation efficiencies for MS2 viruses when compared with UV photolysis, ozone dose combined with UV photolysis, and ozone dose alone treatments. "This system has the potential for high-capacity bioaerosol inactivation in HVAC, regardless of the weather," says Professor Jang. "Most UV-based purifiers take longer times for disinfection, but this new air purification method can significantly improve the indoor air quality." "There are negative pressure isolation rooms for patients in hospitals in case where an infectious airborne disease viruses, such as tuberculosis, strikes," says Professor Jang. "This system is capable of providing clean air at high efficiencies."